Project from the Craft Project Central. Cookies are a great little gift or favor for any occasion – birthdays, showers, weddings and more! Why not package them to make them extra special? This quick and easy box can be used for any occasion – you’ll be surprised at how often you use it! This project is also a great class or club project! 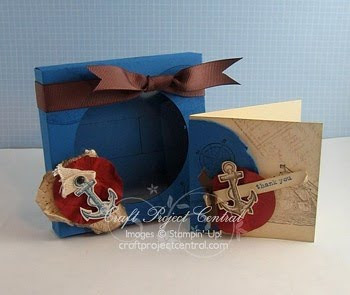 This great project comes to you from Carrie, one of the new designers for the month of May! To get the instructions for this fun project, just subscribe to May!